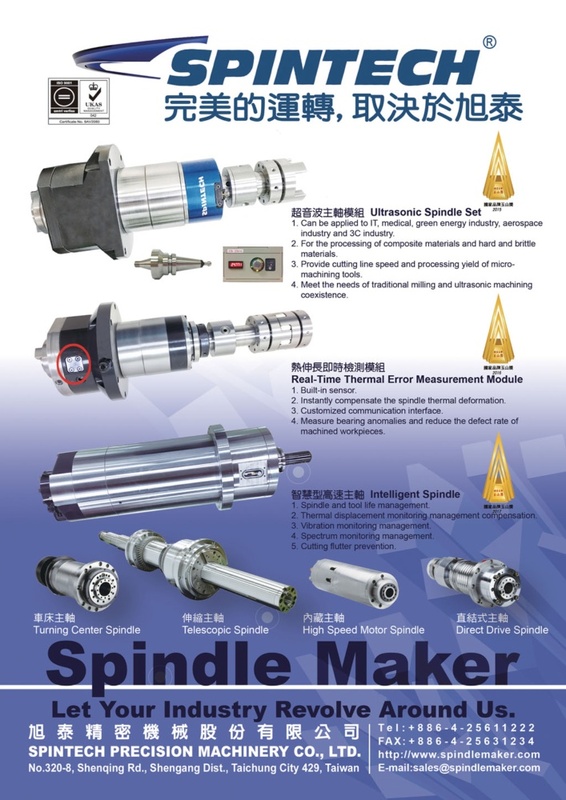 SPINTECH was founded in 1995, and has become the No.1 spindle manufacturer in Taiwan. We sold more than 10000 sets per year , now our quantity per month is 1000 sets spindle. Our major markets are in Italy、Turkey、Korea、China、New Zealand、India、Canada and Taiwan absolutely. In Taiwan , our market share is over 40% and increasing day by day. SPINTECH specialize in high speed motor spindle , milling spindle , high speed direct drive spindle , CNC machining center spindle , CNC turning center spindle as well as offering repairing and upgrading services. SPINTECH relies heavily on its quality control basis, and maintains ISO9001 standards . We are renowned for our quality, ISO 9001 standards, and our excellent customer service, which we provide with pride.